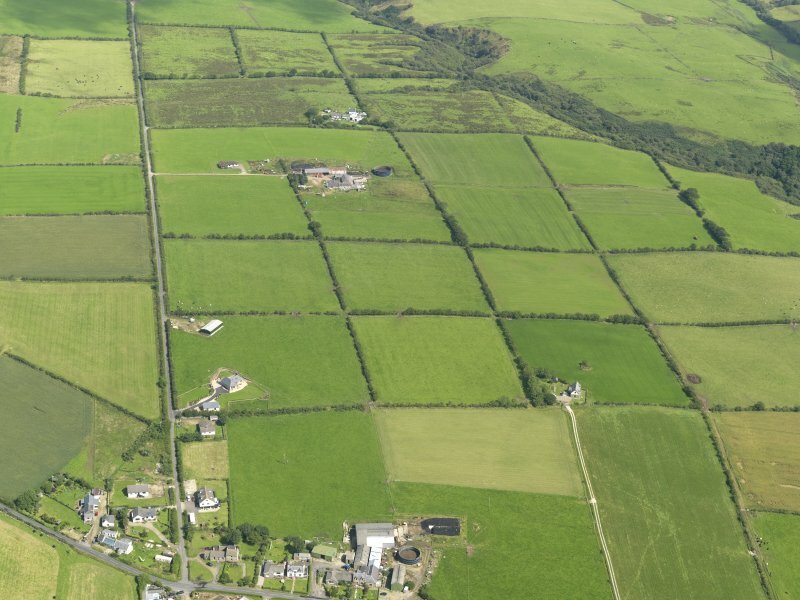 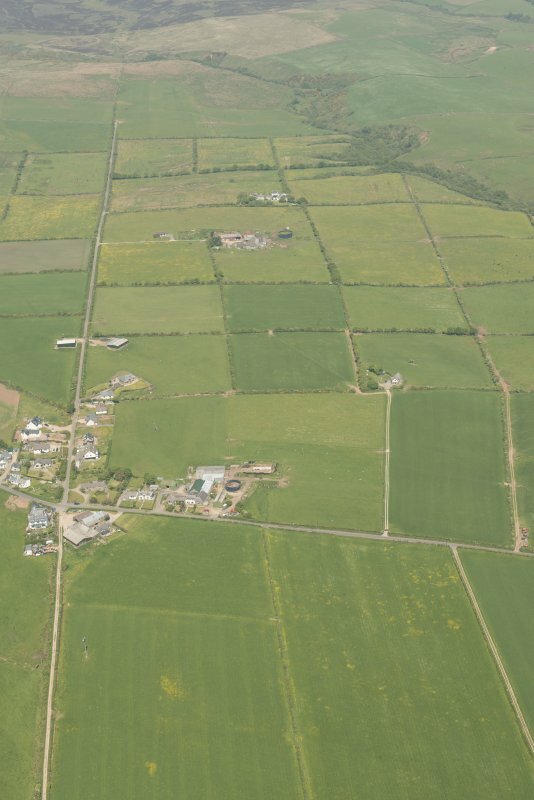 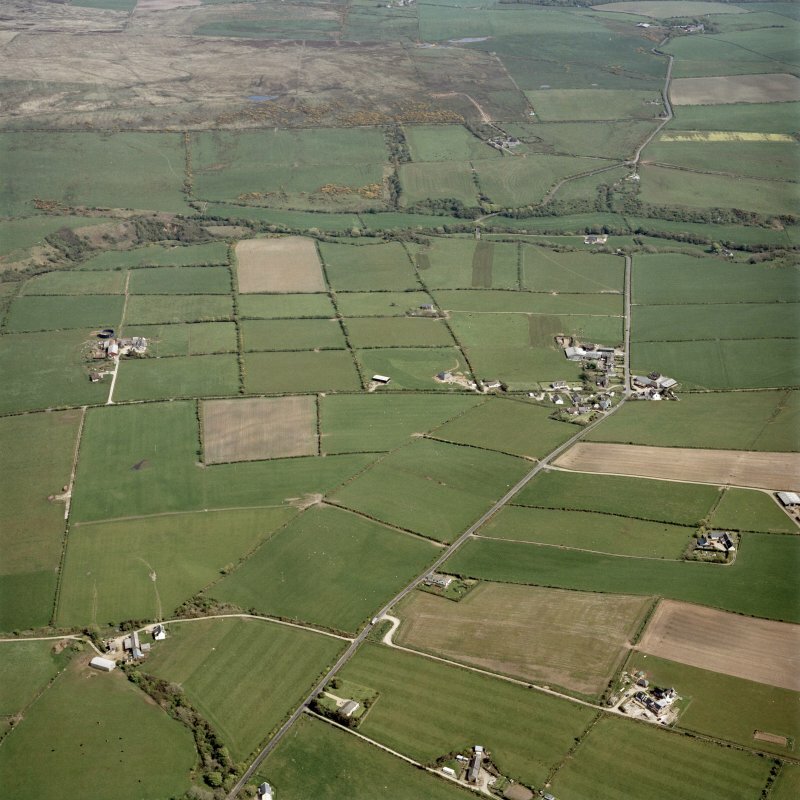 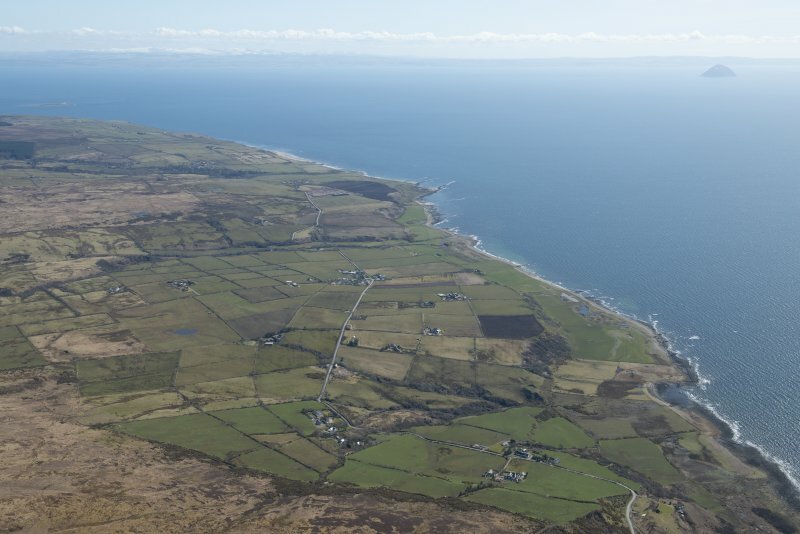 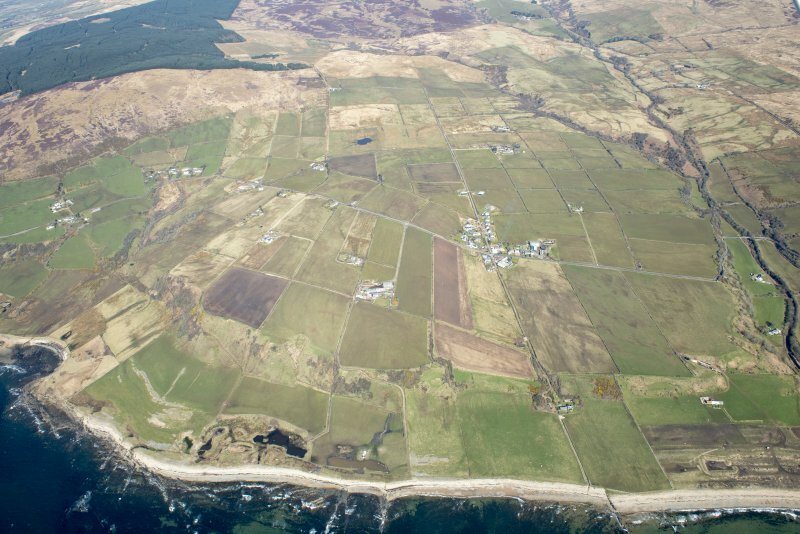 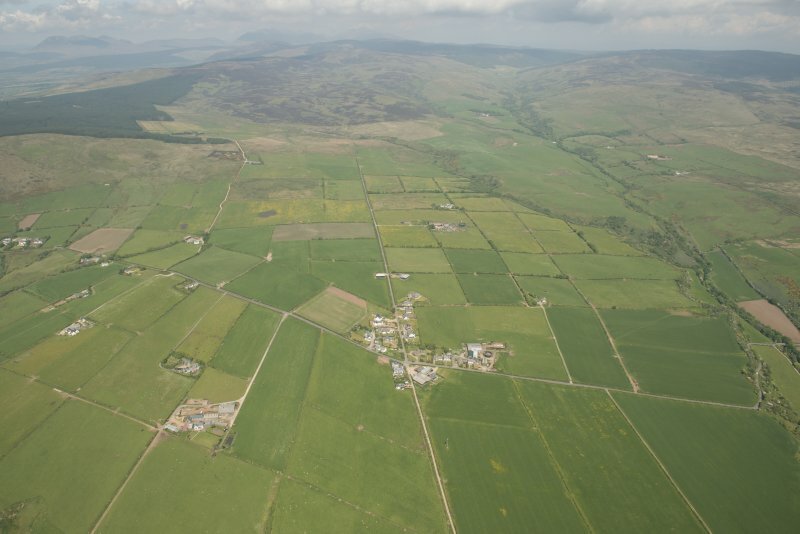 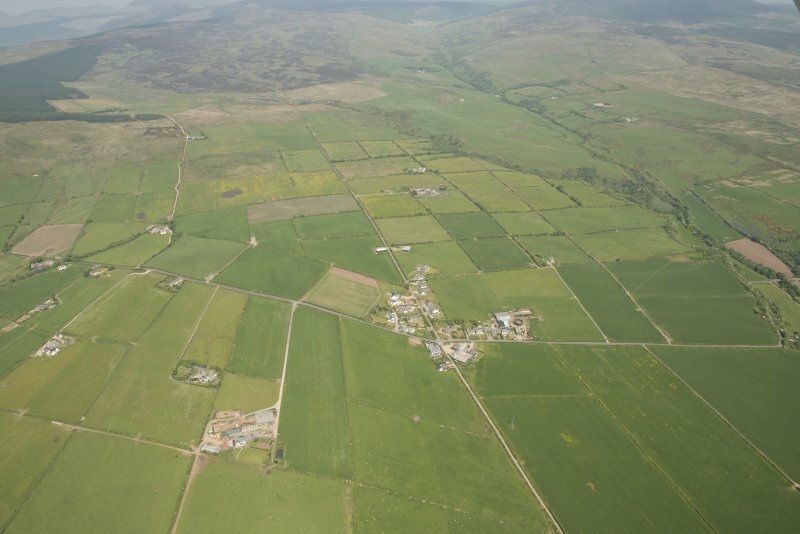 General oblique aerial view centred on the village and farmsteadings, taken from the WNW. 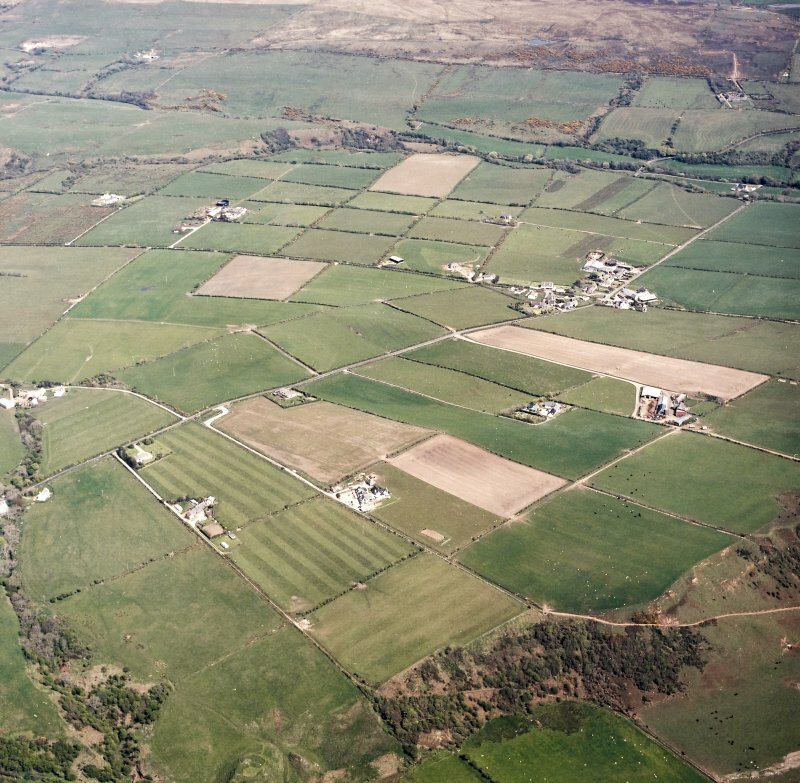 General oblique aerial view of the square patchwork field pattern, taken from the SSW. 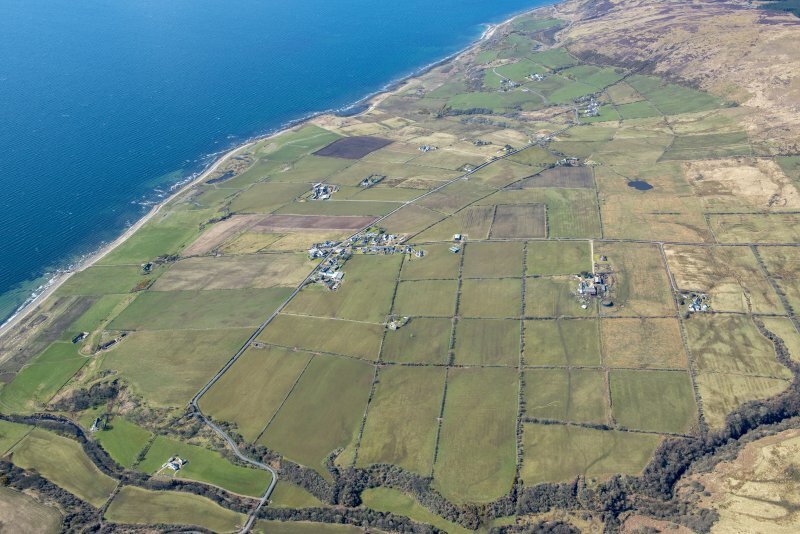 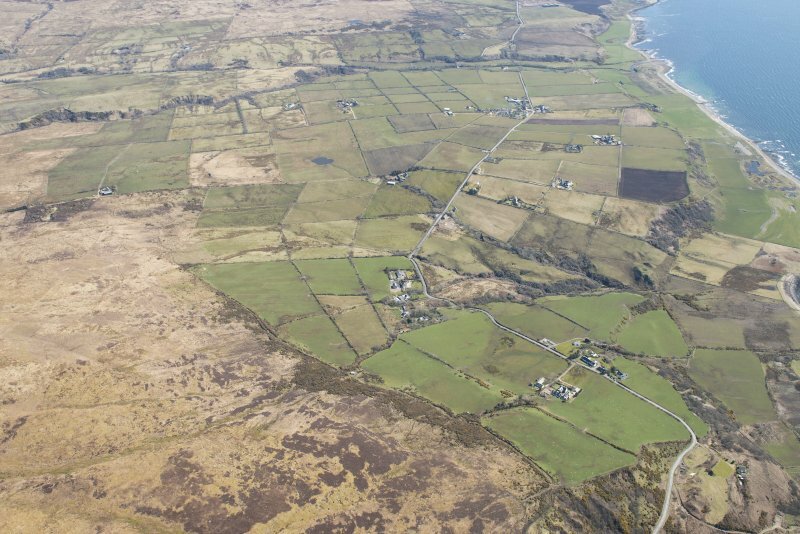 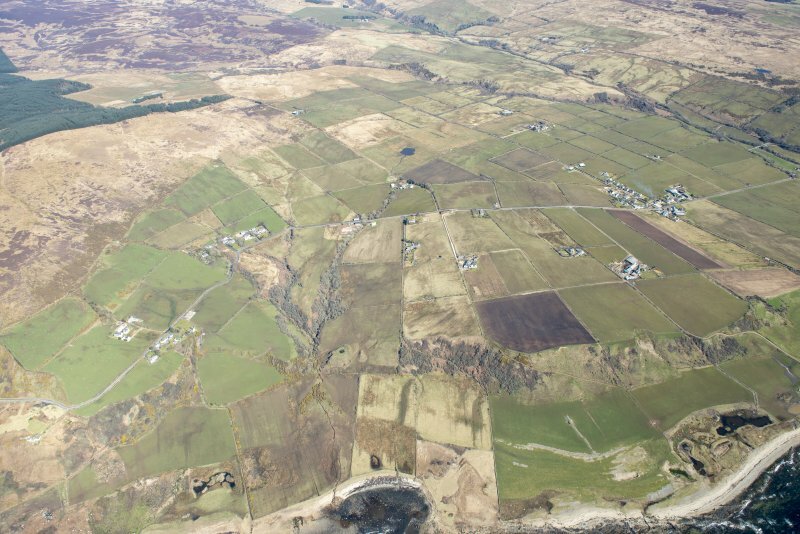 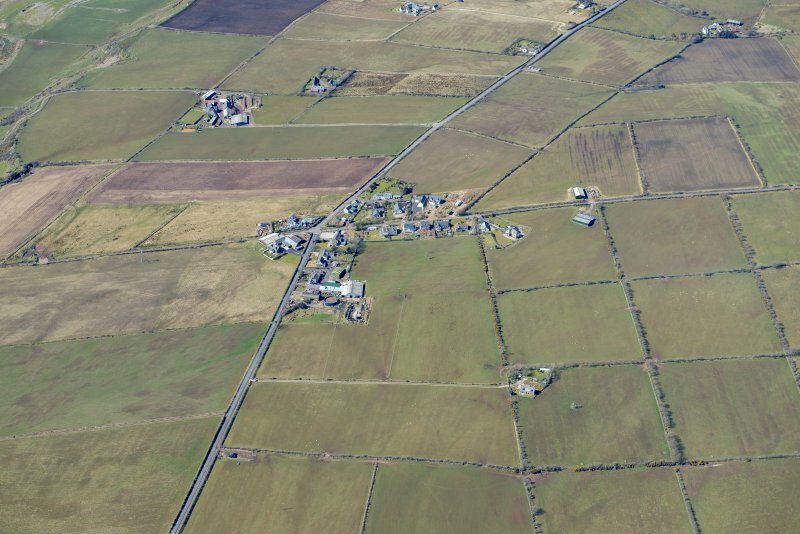 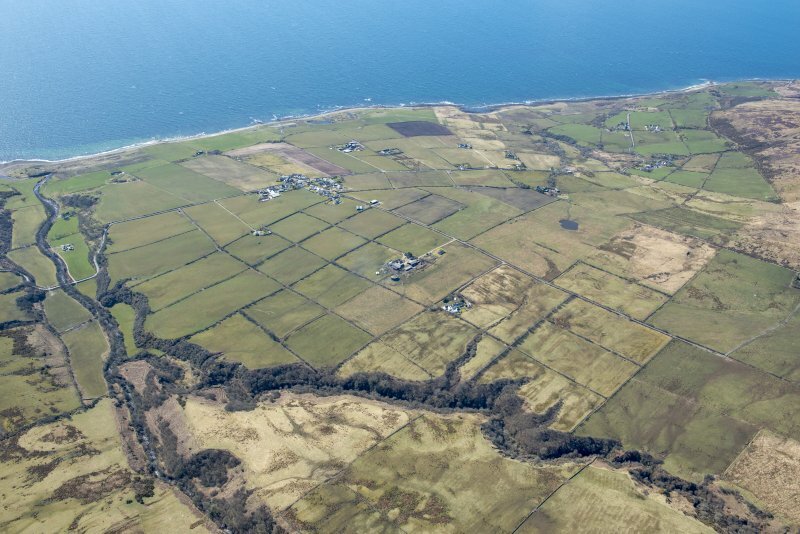 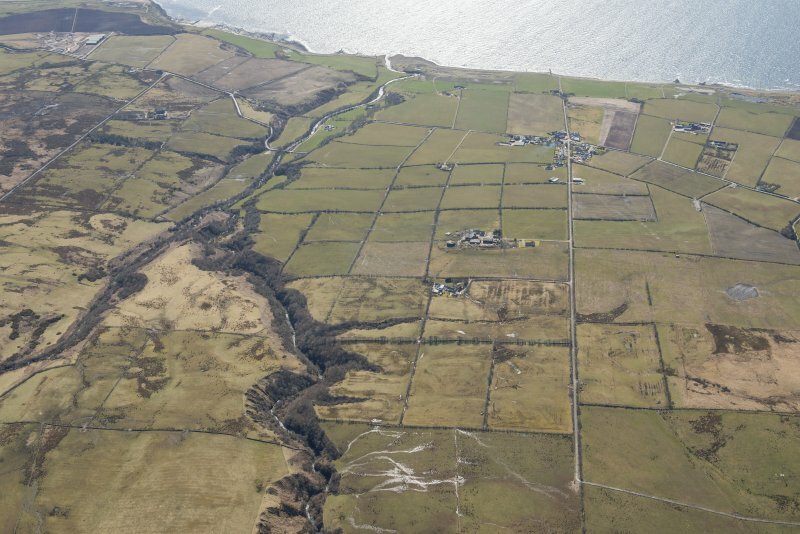 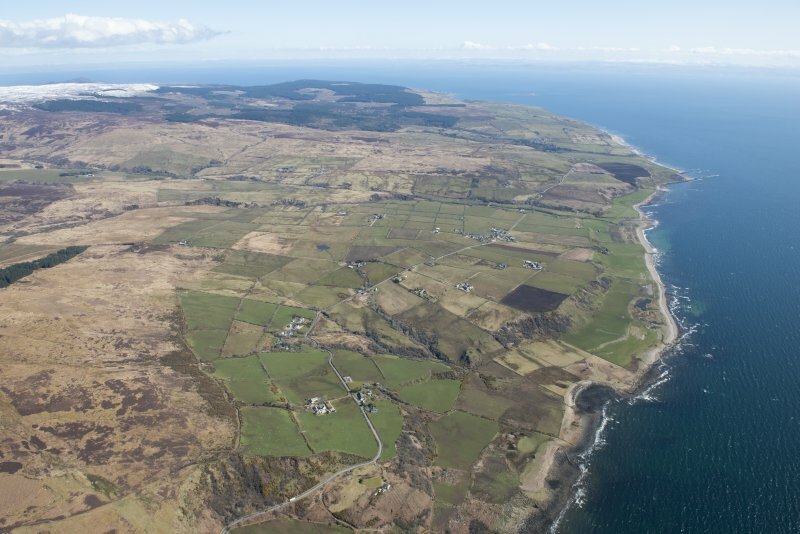 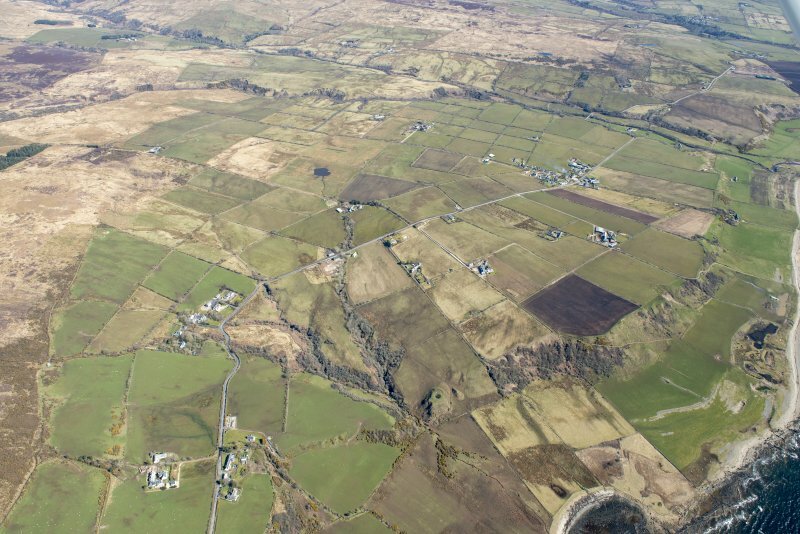 General oblique aerial view of the field systems around the village of Sliddery, looking to the NE. 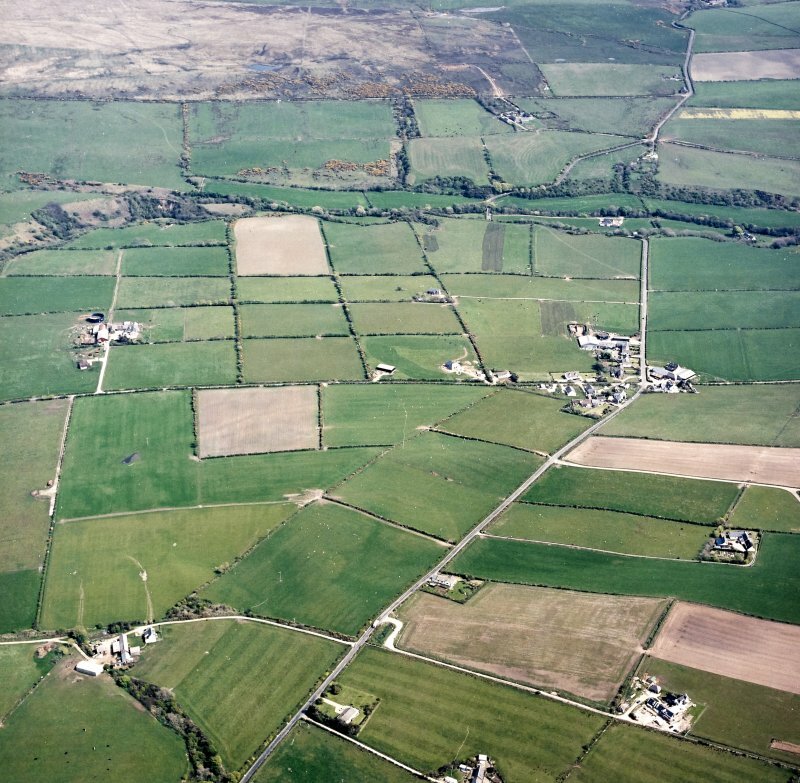 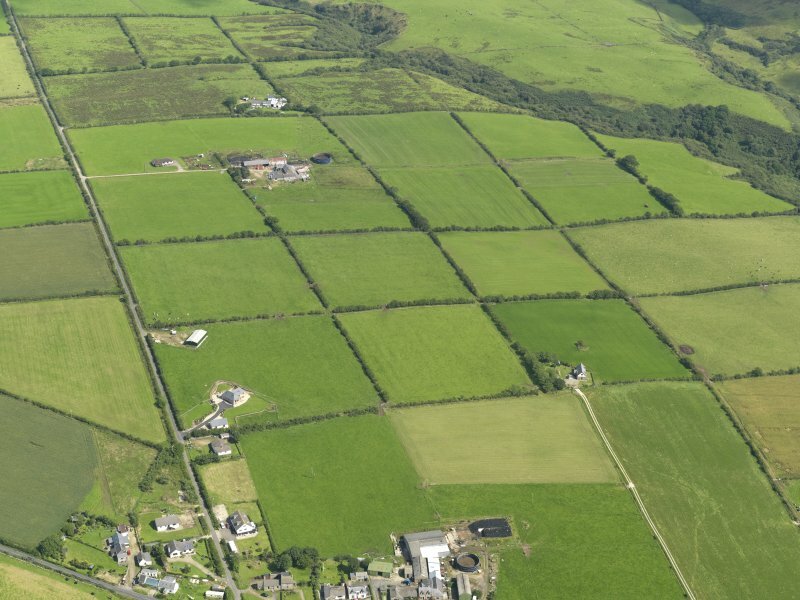 General oblique aerial view of the square patchwork field pattern, taken from the SW.
General oblique aerial view centred on the village and farmsteadings, taken from the W.
General oblique aerial view of the field systems around the village of Sliddery, looking to the N.